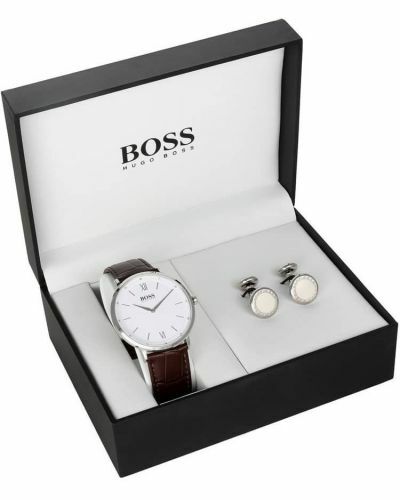 This Hugo Boss gift set comes with a Quartz watch with a stainless steel case and bezel. Beneath mineral glass lies the alluring black dial complete with steel hour markers, two hand movement and a date display window. 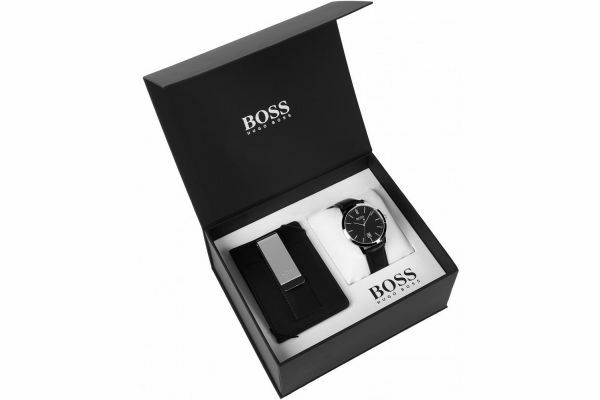 Set upon a suave black genuine leather strap and fastened by a secure stainless steel buckle; this sleek watch is ideal for both formal and casual attire. 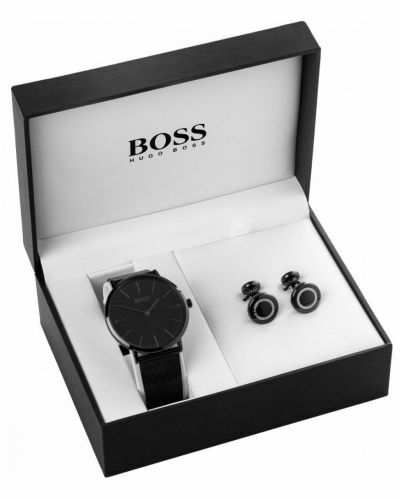 Presented in an official Hugo Boss gift box, this luxurious set is complete with a genuine black leather card holder with a steel clip.